The second season of Borgen has now reached halfway on BBC4 in the UK (having aired in Denmark in Autumn 2011). I don’t think I’ve waited so eagerly for something on TV for a long time. But what’s it like the second time round? I’m conscious that I might be watching it in a different way – or perhaps reflecting more on what I’m seeing. Season 1 established that there would be three central characters and this has continued in Season 2. Birgitte as Prime Minister and Kasper as her political adviser are engaged in trying to keep the coalition government in power, but both have issues with their partners/families. Meanwhile Katrine has left her job at the TV company and joined the tabloid edited by the disgraced Labour Party leader. Katrine also has a new partner of sorts with Episode 1 showing her growing professional relationship and friendship with the older journalist Hanne who has a drinking problem. The structure of each episode has remained the same with an ‘external’ issue concerning the government involving each of the three protagonists to a different extent. Each has also got an ongoing personal narrative and at least one of these is advanced in each episode – and sometimes two or all three. My impression is that the central political narrative is beginning to fade into the background at this halfway point. The political stories seem more cut and dried, more neat somehow. 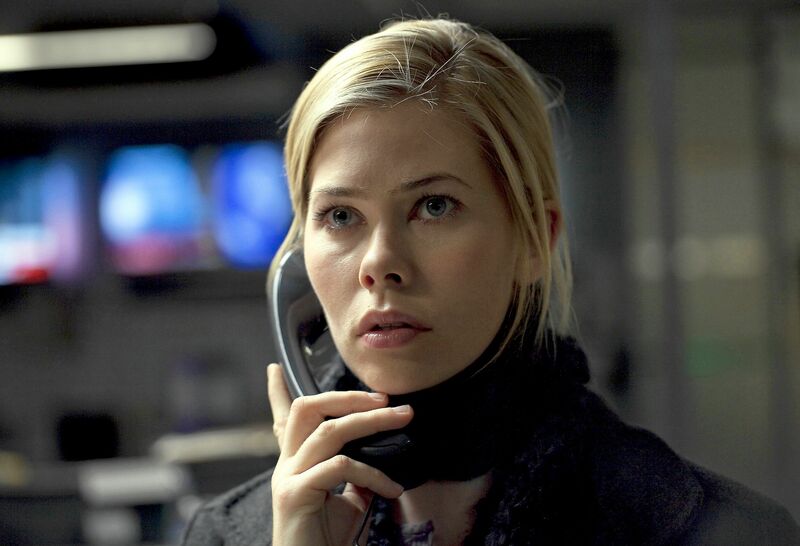 Birgitte seems to solve a problem in a skilled but not altogether plausible way. She appears much harder and more pragmatic. In one sense of course this makes sense as she is likely to change with experience – but the writers seem less interested in the political stories and more in how the three central characters are under stress. I think that this shift – if it exists and isn’t just a function of my own shifts in how I’m reading the narrative – means that the overall narrative is becoming more of a melodrama. The serial structure does allow for reflection over 10 weeks in the Danish case (and over several months between each season). In the UK there are two separate episodes/stories transmitted one after the other which perhaps alters our readings here slightly but I think I am reacting to each episode as if it was just another episode of a well-loved soap opera. That sense was confirmed after episode 5 when we have just seen the return of the PM’s secretary Sanne to her old job. It’s almost that like Birgitte, we’ve missed Sanne’s warmth. If it is getting more like a soap or perhaps more like a telenovela, I have to say that the tension for me is all about Kasper and Katrine. There seems little mileage in Kasper’s attempt to set up home with his new partner Lotte and Katrine has just gone through a whirlwind change of jobs (four, over six episodes). I want Katrine to be happy and Kasper to get sorted out. Birgitte is clearly going to have more problems with her children. I know that many viewers are fond of Birgitte’s husband Philip but I’ve always found him a bit dispensable. I’d rather Birgitte found someone more interesting. On the other hand, I wouldn’t mind if Birgitte got to grips with some more complicated politics and left the shenanigans to Kasper. On a recent Late Review, there was discussion (à propos of the revamp of Yes Minister on Sky) about how politics are treated in British drama/entertainment. The suggestion was that we are just too cynical in the UK and can only take politics as satire/comedy in shows like The Thick of It or thrillers like House of Cards. I didn’t quite follow this and there didn’t seem to be any suggestions as to why 1 million of us watch Borgen or even more followed West Wing so avidly. Perhaps we need a telenovela that extends beyond the remit of the UK’s community or institution-based soaps? The Danish political world is institutional of course, but it is also exotic – and oddly glamorous. Or at least Kasper and Katrine are glamorous if not the politicians. What does anyone else think? What do viewers want from a TV serial (as distinct from a series)? Serials demand time and commitment since they rely on narrative continuity. In the modern world of ‘catch-up TV’ it is certainly possible to organise viewing so as to catch each episode – but it is a burden for viewers with busy lives so a serial must deliver on several fronts to make the burden bearable and leave a surfeit of pleasure. It’s remarkable then that I have followed the first season of Borgen (10 x 58 mins, screened in pairs each week in the UK) so avidly. The first reason I stuck with it is because this comes from the production team at Denmark’s PSB (Public Service Broadcasting) TV provider who made the first two series of The Killing – that TV phenomenon that has sold around the world. The Killing II was perhaps not quite as good as the first series but I still hung on to the end. Borgen has several familiar faces from The Killing and in some ways I think it is even better. So, to directly answer my opening question, a serial needs a firm central narrative structure on which can be strung various narrative strands, some of which will be the focus for one or perhaps two episodes and others that will run throughout. Another three-part structure is the roster of characters – the handful of central characters who are key to the central story, the introduction of lead characters for one-off episodes and a cast of interesting and memorable supporting characters who we can choose to remember or not (some of them are simply ‘colour’, others might become cult favourites). The lead characters need to be likeable enough for us to want to identify with them in some way and rich enough in the detail of their personal characteristics to test our devotion when they behave badly. That central narrative needs to carry themes with emotional weight but perhaps (and certainly for me) other themes as well which relate to the cultural-political or which pursue larger ideas. If you don’t have HBO’s budgets as a producer you also need to be pretty clever in your choice of locations and constructed sets or your narrative of 580 minutes may run away from you. It’s a tough ask but Borgen scores on every count. I can see that there may be one or two gainsayers, but for me and the wildly enthusiastic UK audience watching BBC4 (and on iPlayer) it’s a winner. Roll on series 2 and 3! Nyborg as potentially Denmark’s first female Prime Minister is clearly the lead character for that central narrative which spans a parliamentary session. She is an attractive woman in her early 40s with two children (a young teenage girl and her much younger brother) and a husband who works as a lecturer in management studies. However, there are two other lead characters. Kasper Juul is Nyborg’s spin doctor, whose job in this coalition scenario is to protect Nyborg at all costs. He has a rather unfair advantage over any competitors in that he has had a long on/off relationship with the rising media star Katrine Fønsmark, lead presenter/interviewer/journalist for TV1. These two are both in their late twenties, both highly intelligent and quick-witted (at least about their jobs) and both hugely physically attractive – but not in that bland way that makes too many of the young stars of British and US TV so unmemorable. Kasper, with his neat beard and flashing eyes seems to me to have stepped out of a Viennese melodrama from 1900 as a dashing cavalry officer. As a spin doctor he can be outrageous in his lack of feelings but somehow he remains an attractive figure. Although Nyborg’s story supplies the spine of the story, both Katrine and Kasper have their own episodes in which they take the lead and they also figure in Nyborg’s narrative. It could be argued that Kasper is the key figure since he has a professional relationship with both Brigitte Nyborg and Katrine – as well as an emotional relationship with the latter. Three characters means three ‘home’ locations (in fact it more since we also learn something about their parents and their earlier lives). The two work situations are the government offices and the TV station – though we do get out enough to see more of Copenhagen and rural Denmark and even a trip to Greenland. Compared to The Killing which was claustrophobic and often shot at night, Borgen is ‘open’ most of the time. It also feels much more cinematic. Partly this comes from the use of the RED One camera shooting HD video – which is then broadcast (according to IMDb) at a screen aspect ratio of 2.20:1. This is reminiscent of some of the issues surrounding the Channel 4/Revolution Films trilogy of Red Riding films. The ratio is much wider than the usual 16:9 setting of modern TV sets (which produces a 1.78:1 ratio). That’s fine, but I suspect many TV viewers won’t have their screens set up to display the correct ratio (I’m fanatical about the correct ratio and I still find it difficult to select the correct size on my TV’s settings). I don’t recognise most of the directors listed for the series but at least one, Søren Kragh-Jacobsen, was one of the founders of the Dogme ’95 movement and made the early success Mifune (1999). This shows the ambition of DR Fiktion in attempting to mount a major serial (now shooting its third season). It would have been good to see the serial on a cinema screen. This cinematic quality takes the series into more direct competition with both US and British series (the UK adaptation of Wallander also used RED camera technology). This has led to the obvious comparison with The West Wing (1999-2006). However, I think that there are several important differences. In terms of its look, Borgen is much less ostentatious. One of the key features of The West Wing was the endless tracking shots as the principals swept through the White House constantly delivering brilliant lines of dialogue at high speed. Borgen is less glamorous and generally more composed. Although keeping the ‘leader’ in power is the key narrative line in both series, Borgen is much more about the relationships between the characters than it is about political ideas or indeed the political system. This is partly because practical politics in Denmark appears to be very different to that in the US. Birgitte becomes Prime Minister but her position is much less secure than President Jed Bartlet (Martin Sheen). She could lose a key vote at any time and the coalition could dissolve. She doesn’t have a great party machine behind her. She survives on her wits – and the wisdom of her choice of adviser and what to do with the advice she receives. Also the decisions she makes, though important, do not have the same ramifications as those of the US President – these comparisons become most interesting in the two episodes where Birgitte first visits Greenland, the former Danish colony that now has a form of autonomy and when she receives a visit from another foreign leader which involves questions of human rights balanced against Danish trading concerns. Versions of both these episodes have (as I remember) appeared on The West Wing – and been treated rather differently. In truth there isn’t much politics in terms of ideological differences as expressed in Borgen. Birgitte Nyborg is a centrist. There isn’t much she can do to fundamentally change Danish society but her position enables the scriptwriters to effectively critique both Liberal and Labour policies. What’s important about Birgitte is that she is Denmark’s first female PM (in the real world, Helle Thorning-Schmidt became ‘Statsminister’ – leading a Left Coalition – in October 2011 during the airing of the second season of Borgen). The narrative questions are more concerned with whether she can continue to be a good mother and partner and an effective leader – and whether she can remain ‘squeaky clean’ in her political dealings and not be corrupted by the power that her position affords her in the Danish system. The questions which face Birgitte also face Katrine in slightly different ways. She is just as committed to her fascination with politics and the political system and it runs up against both her work life and her relationships. Fans of The Killing have been amused to discover that Katrine’s boss at the TV station, Torben, and Birgitte’s husband Philip are played by the two actors who played the partners of detective Sara Lund in Killing I and II. Personally, I think that Torben’s role could be expanded and Philip is a rather irritating character – but according to the blog comments I’ve read on the Guardian site, part of the female audience is most interested in whether he will remove his vest/singlet. This reference to The Killing also reminds us that Katrine to some extent fulfils a similar role in the narrative to Sara Lund and to Lisbeth Salander in the Millennium trilogy. She is the fearless young woman who takes on a male establishment. This is particularly the case in Episode 9 when Katrine sets out to investigate the Danish military who are backing a particular defence contractor. During an interview with the Defence Minister (‘Theis’ from The Killing) Katrine takes severe umbrage at his paternalistic attitude and it is no surprise that she goes into the investigation with steely determination. Birgitte is of course also fighting within a patriarchy but she has a certain amount of power and her position is more complex as it is other women who often put her in difficult situations – and it is to two men, Bent and Kasper, that she often turns to for advice. Given the importance of family, however, we also see Birgitte having to deal with her widowed father – another strong patriarchal figure. Borgen is for me a melodrama rather than a political drama. Series 1 ends at a point where Birgitte comes full circle (melodrama narratives tend to become circular rather than linear) and again faces the real politik of revising her cabinet for a new political term. Unlike The West Wing where, as somebody once said, a fantasy liberal Democrat President solves all problems, Birgitte’s ‘success’ is much more circumspect and several other questions about the relationships between characters are left dangling. The last two episodes were excellent – and it looks like in the UK we’ll have to wait another year to see series 2. I suspect we might be back discussing it before then. Borgen 2 post, now added.